Money is often cited as the largest barrier for students looking to enroll in college. The cost of higher education does not end with the published tuition rates. In fact, the costs associated with attending college can include fees, parking, room, board, books, laundry, telephone, and so forth. However, it is important to understand that many colleges and universities offer generous financial aid packages to help offset the inherent costs associated with attending college. In fact, the tuition discounts at private colleges hit an all-time high this past year with a net discount of 49% off published tuition rates. What this means for you, specifically, will depend on a number of factors that can only be obtained after requesting information from accredited colleges and moving the application process forward. Data gathered in late 2017 reflects the fact that the United States has reached a high for the percentage of citizens holding a bachelor’s degree or higher. Research indicates that over 33% of resident citizens living in the United States hold a bachelor’s degree and is expected to trend higher as more and more employers require this as a baseline. To parallel, the Bureau of Labor Statistics has performed a massive study that sheds light on the relationship between income, employment stability, and income level. The chart assembled by the BLS is very clear on the direct correlation between education levels and income juxtaposed by employment stability. The simple truth is this: the greater your level of education, the higher probability of employment stability with a greater level of income. It is clear that education can help individuals earn more and work more consistently than those without a college education. Below you will find an analysis of the top 50 colleges and universities that provided the largest financial aid awards to full-time, first-time students. According to the latest data published by the NCES, several well-known colleges extend generous financial aid packages to qualified students. How this will affect you is yet to be determined but can make a large difference to students that are unable to afford the total cost of college without assistance. Financial aid awards include a variety of mechanisms from state, federal, and higher education institutions. Examples of financial aid can include any number of the following items: grants, loans, scholarships, assistantships, tuition waivers, work-study programs, military benefits, tuition discounts, employer aid, and fellowships. Here is the list of the 50 universities and colleges that provided students the largest grants, largest average financial aid, and state aid for the latest reporting year. Use this list as a starting point to find your perfect college match and find the best college for you today. AI Grant: The AI Grant column is an abbreviation used to represent the average amount of institutional grant aid awarded to full-time, first-time undergraduates. FAid: Is an abbreviation for financial aid provided to students. The FAid column is a representation of the percentage of full-time and first-time undergraduates that were awarded with any amount of financial aid. AT Grant: The column AT Grant represents the average amount of state, federal, local, or institutional grant aid awarded to students. AS Grant: The nomenclature AS Grant is used to represents the average amount of state and/or local grant aid awarded to full-time, first-time undergraduates at a specific college or university. In an effort to help give you a leg-up in your college search process, we have put together a series of valuable tools and resources for you to use. The items below represent a few of the relevant items other students have found to be valuable when researching financial aid. With hundreds of resources available, you can quickly search our resources and locate vital financial aid information that is relevant to you and your situation. Many students prefer to start the process by reading our eBook titled How to Reduce the Cost of College. The FAFSA is a federal document that is an acronym for the Free Application for Federal Student Aid. The standardized form created by the U.S. government gathers relevant information about your financial situation to assess available contributions towards the cost of college. To help understand the forms on a more granular level, read our guides for the facts about the FAFSA and FAFSA guide today. 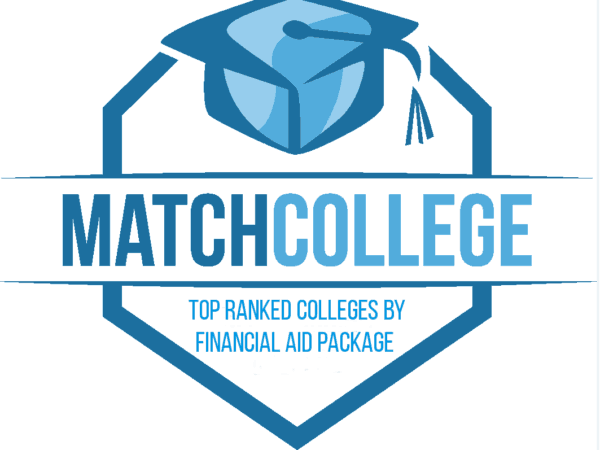 MatchCollege has published an array of financial aid articles and guides over the years. Resources include college rankings by financial aid packages, guides for online colleges, financial aid pathways, and research articles on how to use data to improve the financial aid process. The more you learn about the financial aid process, the better equipped you will be to maximize your overall financial aid package. For students electing to utilize the ROTC program to help pay for college, we have created a comprehensive guide for you to read. Our ROTC Guide will help you understand important acronyms, branches of government, and programs within ROTC to help you through college and learn essential life skills along the way. In addition to grants, the most substantive financial aid packages come from scholarships. Grants and scholarships are key to your financial aid package as these types of aid do no need to be repaid. To help you learn more about scholarships, we have created guides to help you understand scholarship basics, college scholarship guide, FAQs, and how to avoid scholarship scams. To find out more about college scholarships, you can connect with reputable sites such as MyScholly, FastWeb, Scholarship Owl, or programs through your college or university.